The Offa’s Dyke Collaboratory are co-hosting a day workshop with the Offa’s Dyke Centre. We are very grateful to the Centre for supporting this and for a range of speakers who have already agreed to speak on aspects of the heritage of Offa’s Dyke and other linear earthworks. The Knighton workshop follows on from successful meetings at Shrewsbury (April 2017) and Cardiff (December 2017). 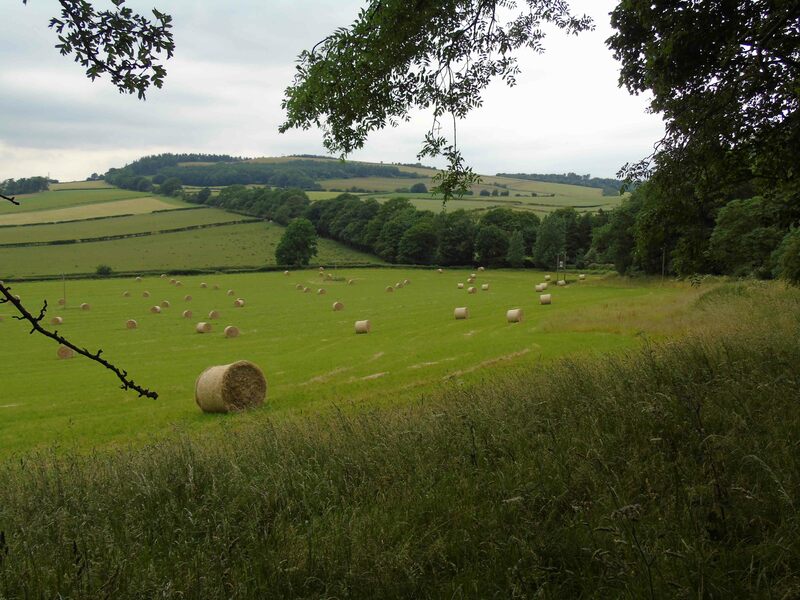 The day workshop will explore the heritage conservation, management and interpretation of Offa’s Dyke and other linear earthworks of the Anglo-Welsh borderlands. At the 39th Theoretical Archaeology Group conference – 18th-20th December 2017 – I organised the second meeting of the Offa’s Dyke Collaboratory – a research network set up to foster new research on the early medieval linear earthworks of western Britain. Building on from a first and very successful workshop at Shrewsbury in April 2017, this second event aimed to draw together researchers interested in the biographies and landscape contexts of early medieval linear earthworks. This was a half-day session of an Introduction, 8 papers and a Discussion on the theme of Dykes through Time – Rethinking Early Medieval Linear Earthworks. I introduced proceedings with a brief statement regarding the theoretical vision and context of the Collaboratory and the session, and I chaired the 8 papers. Dr Keith Ray generously providing a Discussion and there was vibrant Q&A for the entire session at the end. Many of the paper abstracts and slides from the talks can be found on the Offa’s Dyke Collaboratory website here. another quartet explored invaluable case studies and comparative perspectives from elsewhere in Britain and the Continent: Bell, Mortimer, Tys and Rohl. Inevitably, there were gaps and issues not addressed. The session theme was aimed to chime with the conference theme of ‘time’ by prompting speakers to not only think about how linear earthworks operated through time but how they constructed and manipulated senses and experiences of space, time and memory in a variety of fashions. In hindsight, this thrust was not made explicit in my session abstract although it was raised overtly in my Introduction and subsequently tackled directly in papers by Seaman, Tys and Rohl. With the perspective of seeing the range of contributions to the Cardiff session combined with the Collaboratory workshop in Shrewsbury, the first two events of the Offa’s Dyke Collaboratory have set a firm comparative foundation for future research on Offa’s Dyke, Wat’s Dyke and the short dykes of the Anglo-Welsh borderlands. Note: Thanks to Mel Leggatt and Wulgar the Bard for permission to use one of Mel’s slides for this blog.